If you know anything about Rebecca Miller, AKA The Skin Whisperer, you’ll know that she is passionate about skin health, Corneotherapy and education. 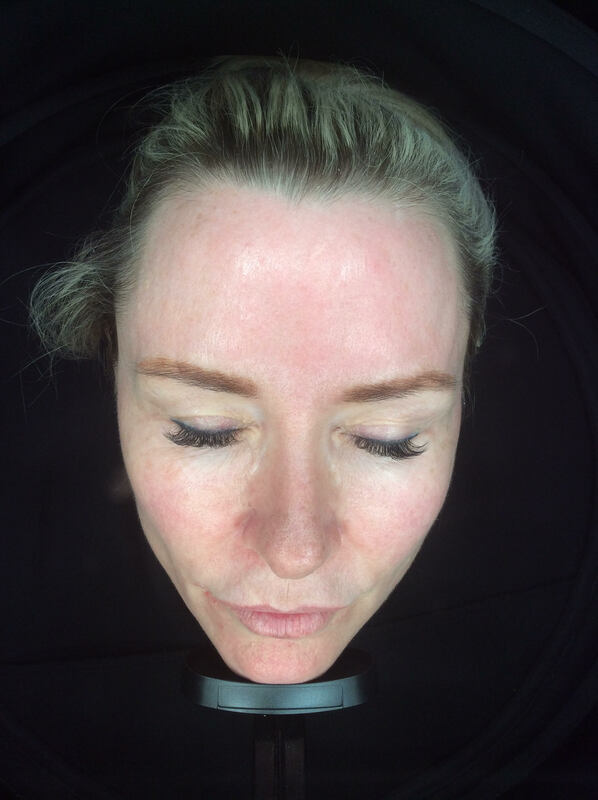 Rebecca lives her purpose of empowering women to feel confident and love the skin they’re in through sharing her knowledge of skin and her talent in La Bella Medispa’s treatment rooms every day. 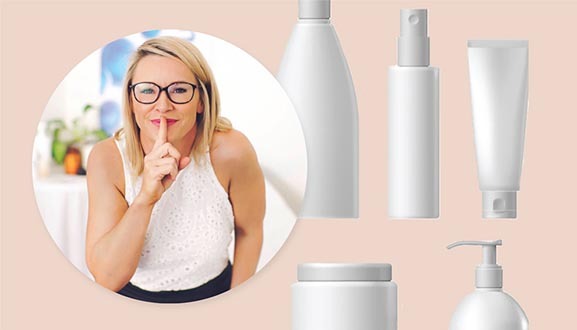 The Skin Whisperer wanted to put her money where her mouth is with this experiment and show her clients and followers firsthand how conventional products purchased from the supermarket compared to corneotherapeutic skincare. Rebecca has shared her 6-week skin journal with us. I knew before I started the experiment that the supermarket skincare products I was going to be using would be packed full of toxic ingredients that weren’t going to make my skin happy I this caused me extreme anxiety! Although my skin at 43 years of age is by no means perfect, after using dermaviduals for the last eight years it was at optimal skin health. Was I really going to compromise that with this experiment?! I finally got up enough courage to hit the supermarket beauty shelves and get this experiment underway on the 8th of April. I had to stop thinking like a trained skin health expert and start thinking like an everyday consumer. As a female in my early 40’s, I decided I was looking for skincare that would assist with anti-ageing and wow; there were so many products in shiny packaging that promised me the world! My anxiety about this experiment didn’t just stem from swapping away from a brand of skincare that I knew nourished and supported my skin, but because I knew the supermarket brands had ingredients in them that would actively compromise the health of my skin. These products on the shelves screamed Miracle! Anti-Ageing! Intense! And, of course, most claimed to be dermatologically tested. Too afraid to look at the ingredients, I chose a gentle cleanser, toner, anti wrinkle serum, eye cream and moisturiser. I have to say I was surprised at the price of my new skincare regime, which came to nearly $150. I started this new skincare regime that night, and the first thing I noticed was the colour of the products – everything from pink and blue through to sparkly gold. As a skin health expert, I know that artificial colours have no benefit to the skin. In fact, they increase the risk of irritation on the skin and cause blocked pores and breakouts. I definitely doubted whether I wanted to follow through with this! The next thing that hit me was the smell of my new skincare. Not because the scent was bad – in fact, it was so good that my daughter Isabella wanted in on them! Yep, you guessed it; fragrances and perfumes are known to be the number one skin-sensitising chemical. So, sorry Isabella, these are definitely not going on your skin! I couldn’t believe it, but on Day 2 I woke up with swollen eyes. My eyes have always been very sensitive, but I hadn’t expected this. I pushed on using my new skincare and immediately my skin flared up – obviously, the change in products was not agreeing with my skin. And even though I knew this would happen, I was shocked at how quickly my skin changed. I had to stop using the eye cream because every morning I woke up with slits as eyes with SO much swelling, and they were continuously watering. Also, my mucus membrane was affected in my nose and my face was itchy with a burning sensation. Hives started to appear on my face, neck and shoulders and to be honest, I was despairing at how long this next six weeks was going to be. PS. I still hadn’t worked up the courage to look at the ingredients. I was starting to wonder if I could continue, but I had announced I was doing this experiment to the world on social media, so onwards I went. By now I could visibly see that my skin was deteriorating – I looked like I had aged by 10 years. So much for the intense anti-ageing I had been promised! It was time for me to take a deep breath, and look at the ingredients in my new skincare products. I had to look at what I was putting on my skin and research what ingredients are hidden behind those big words. Alarm bells starting ringing for me straight away – some of the products had more than 30 ingredients in them! I was putting a minefield of chemical ingredients on my face; preservatives, emulsifiers, mineral oils, silicones… all, which cause barrier disruption, and, as mentioned above, colours and perfumes. But when I started reading ingredients like C13-14Isoparaffin, I actually got scared. This can accumulate in the liver, kidneys and lymph nodes, not to mention it is drying the skin, promotes comedones (blackheads) and wrinkle construction, prevents the skin from breathing and can lead to heat build-up. And then there was Methylparaben, which hinders enzymatic activities in the skin and body, can cause cross allergies and has been shown in the remnants of breast cancer tumours When I found so many more endocrine disturbing and carcinogenic ingredients, I really did wonder if I should give up on the experiment before I did damage to more than just my skin. How are these ingredients allowed in these products? This was absolutely the hardest week. I went from a very confident woman to feeling so self-conscious about the state of my skin. This experiment was affecting me so much that I wouldn’t get out of the car at school drop-off and pick-up because I felt I needed to explain to anyone and everyone why my skin looked the way it did. On the positive side, because I was sharing my journey on social media, this week I had more then 30 women contact me sending photos or coming into La Bella Medispa with their own skin concerns. These women thought they were doing the right thing because they had good home skincare routines; they believed it was ‘normal’ for their skin to be red/inflamed/dry/bumpy. It was emotional seeing many of these women reduced to tears because of the state of their skin. Although this week was the hardest for me personally, it was also the most rewarding. I changed these women’s lives not just by educating them on ingredients in skincare, but on internal health as well, because beautiful skin starts from the inside out. I realised I truly am living my purpose – to empower women to feel confident and educate them to love the skin they’re in. I was only doing this experiment for six weeks, and some of these ladies had lived with their skin in this state for 40 years. The instant relief these ladies felt when using dermaviduals for the first time was life-changing. My birthday week – I was turning 43, but I looked like I was in my 50’s. My skin was now peeling, as it wasn’t getting exactly what it needs to go through the natural desquamation (exfoliation) process our skin is programmed to do. When skin is healthy and balanced, it naturally sheds, self-regulating and renewing. With the enzyme activity in my skin compromised, I had to cheat – just to give my skin some relief. I can’t explain how unbelievably comforting it was to cleanse my skin with the Cleansing Milk with DMS and apply Lotion N and my DMS Base Cream High Classic; I instantly felt nourishing relief. Only two weeks to go, yippee! My new skin serum product ran out this week and there was no way I was replacing it to finish the experiment – this product was the one that really burnt when I put it on. Do you know what really surprised me? How quickly I went through this serum; I only used it once a day and although the cost was around $38, it only lasted four weeks and two days. I did the math – you would need to spend $114 every three months for this serum. To put that in perspective, to have a customised dermaviduals serum – with a delivery system that takes active ingredients into the skin – it’s around $120 to $150, which will last about 3 months. I absolutely know which one I’d prefer! I was on the countdown and I couldn’t wait for the experiment to be over and start the next experiment – restoring my skin back to health. My skin was the unhealthiest it had ever been – my barrier was completely disrupted and my skin was suffering from trans-epidermal water loss. My face looked tired; it was dry, bumpy, red, inflamed and my lines were a lot more noticeable, as were the pigment and capillaries on the surface of my skin. I actually can’t imagine how much worse my skin could have gotten if I had continued using the supermarket skincare brands that were packed with toxic ingredients. Six weeks was definitely my limit! 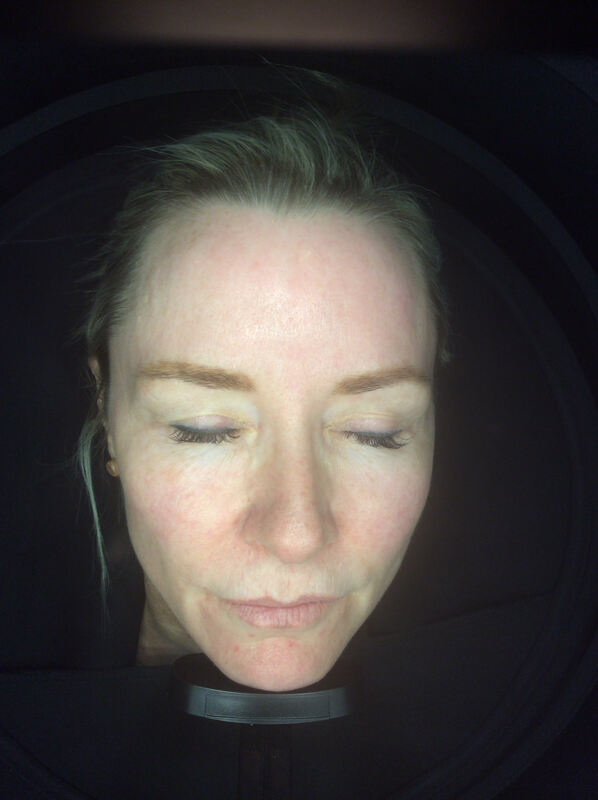 With my knowledge and experience in the beauty industry, I already knew that the ingredients in skincare have a massive impact on the skin – but this experiment took that knowledge and gave it a face – my face. It was an emotional journey for me, but I can’t believe the impact that it’s making on the women who hear about it. As a skin health expert, I know I’m not just changing skins, I’m changing lives. I’m educating and empowering women to love and nourish their skin, and I feel so privileged to be The Skin Whisperer. 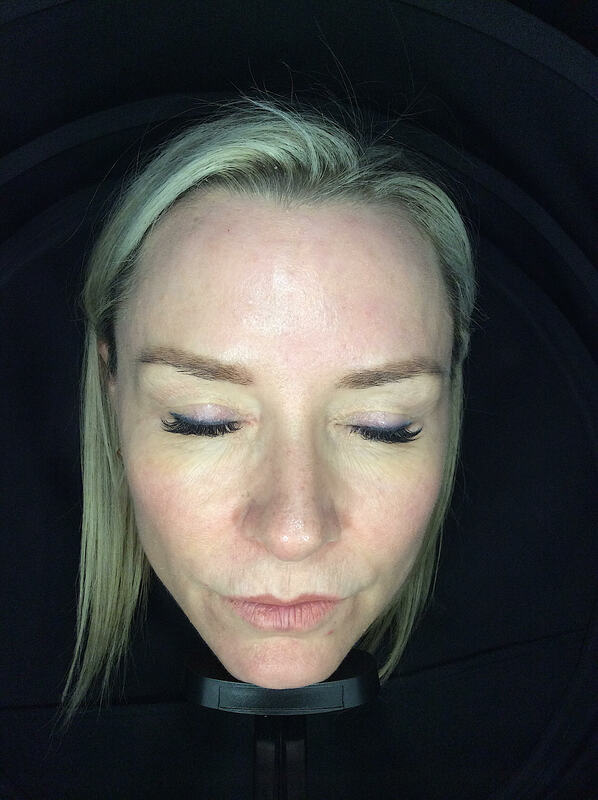 If you want to catch up on Rebecca’s weekly videos as she undertook this experiment, follow The Skin Whisperer on Facebook. You’ll also be able to follow along with her second experiment as she restores her skin back to health.